We all as humans know that death is a fact and everyone shall taste death. Allah SWT confirmed that in the Qur’an by saying “Every soul shall taste death” (Surah Al Imran 3:185). 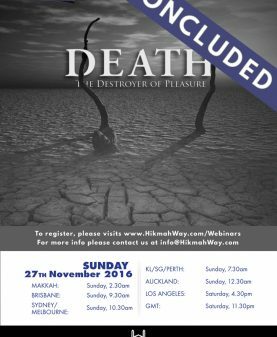 However, as death and life after death are a part of the unseen, thus, we as Muslims can only learn about the death and life after death from the Qur’an and the Sunnah of the prophet S.
What happens when our soul is taken out from the body and after? What happen in the grave when our body already been buried under the ground? 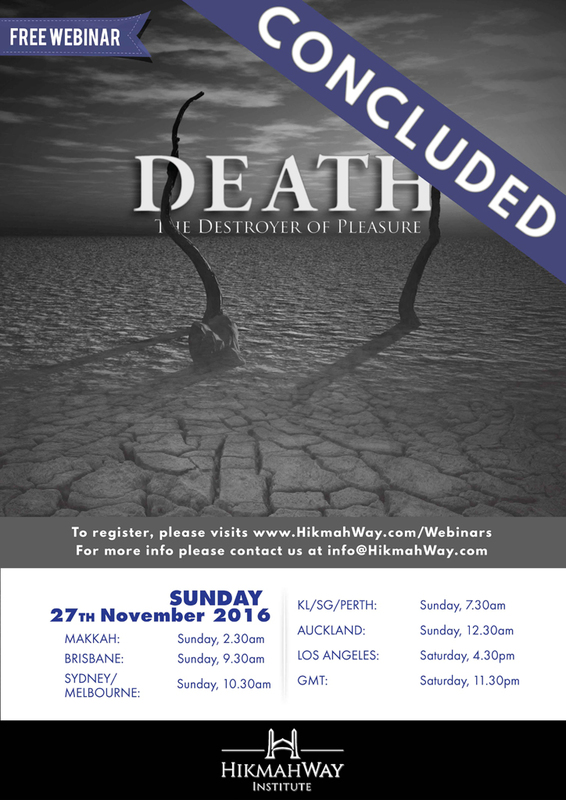 Find out about the answer to these questions and many more at our FREE webinar on the topic “Death – Destroyer of Pleasure” on Sunday 27th November at 9.30am Brisbane time.